Green Tara with Hawaiian flowers. 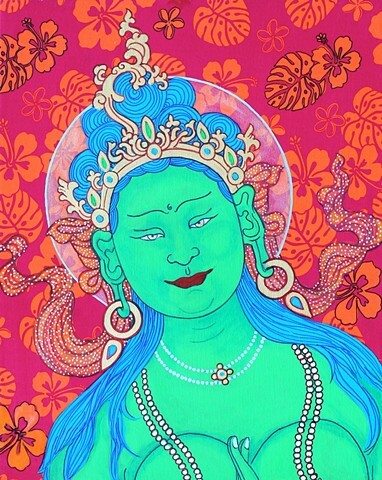 Green Tara was born of a tear of Avalokiteshwara. She is the mother of Wisdom and Compassion. Green Tara's right foot comes down from her lotus symbolizing that she is ready and waiting to help those who invoke her.